Modern Los Angeles had a difficult birth. It came during the transition between the small-town-writ-large vision embodied by Mayor Sam Yorty and the outward-facing, cosmopolitan dream of his nemesis and challenger, City Councilmember Tom Bradley. Their epic 1969 and 1973 mayoral battles produced a new Los Angeles. Yorty and Bradley offered competing aspirations for Los Angeles. Yorty spoke for the Midwestern migrants, mostly white, who had come to Los Angeles to build a metropolis with all the qualities of a small Midwestern town: homogeneity, control, and a type of isolation from wider social forces in state and nation. Bradley was the voice of other migrants: African-Americans, Jews, Hispanics, and Asian-Americans who wanted a seat at the table. To bring his diverse coalition to power, Bradley needed a more cosmopolitan city than the narrow one that Yorty was defending. Yorty talked about how Bradley was bringing “outsiders” (by which he meant black militants and white leftists) into local politics, but that argument was emblematic of the defensive localism that had to be overcome before inclusion could become a reality. Not surprisingly, Yorty’s Los Angeles was the only major city to keep its distance from the federal government’s War on Poverty, cutting off a needed source of funding for low-income and minority communities. The LAPD, under Yorty’s close ally Police Chief William Parker, nearly ran the city, stunting local democracy and blocking needed reforms in community relations. Once Bradley won election, he embarked on a path to make Los Angeles more cosmopolitan, and more connected to the world. We often focus on Bradley’s role in changing the downtown skyline marked by tall buildings and his efforts to expand trade with the Far East. There were also less visible outward-facing steps, such as building links to the federal government that Yorty had opposed. Shortly after his election, a federal agency reached out to Bradley to offer a grant through which the new mayor could expand social service programs in the city. This foreshadowed the mayor’s great ability to win federal funding. And Bradley initiated mass transportation, via a subway and light rail system only now reaching fruition, to build a city that would have fewer internal barriers to intergroup contact. We look ahead in Los Angeles, with aspirations to be more than we are, to be urban leaders while still wrestling with the consequences of the changes that have come before. As important as these steps were, they were only part of the deeper project, which was to open up Los Angeles to its excluded communities, to move past the aspiration of keeping L.A. a small town outside the swirl of American social change. That was ultimately Bradley’s aspiration for Los Angeles, and in his five terms, he managed to make great progress. Still, even with the changes Bradley wrought, Los Angeles remained isolated in ways. There was little connection between the city’s politics and state government in Sacramento. No one would think of leaving the state legislature to become a Los Angeles city councilmember. A strong business establishment still worked behind closed doors to make civic projects work. New York City still managed to look down on Los Angeles as a cultural backwater. Today, looking back at Bradley, it’s striking how different his aspirations were than those of Mayor Eric Garcetti. But today’s L.A. is also very different. Los Angeles is now widely seen as a great cosmopolitan city. Far from being isolated, it is a cultural mecca, and there are many who believe that our pastrami sandwiches are better than anything New York City offers. The impermeable wall between Sacramento and Los Angeles has been shattered, and state legislators now fill the ranks of the Los Angeles city council. Being more cosmopolitan has created new residential mobility and broken down some long-standing boundaries within the city, while also creating new tensions over mass transit and gentrification. Today’s aspirations are more expansive: to make Los Angeles not merely more cosmopolitan, but truly a model city, a leader in the new urbanism. Mayor Garcetti has been more connected than previous mayors to national and international discussions of urbanism, has dedicated efforts toward data-gathering and accountability, and has sought to make Los Angeles a recognized innovator. If Mayor Bradley had to drag Los Angeles from a narrow, constricting past to a more inclusive future, Mayor Garcetti has been trying to push L.A. further onto the cutting edge. One area of major change in aspiration involves the role of universities. On the East Coast, universities have long been interconnected with city governments. When I was a student at Princeton, I spent my senior year helping my academic adviser, who had assembled an academic team to assist the newly elected African-American mayor of Newark, Kenneth Gibson. In New York City, it was common for Columbia University to send faculty over to help Mayor John Lindsay, and other universities thought it was critically important to connect with city hall. Those town-gown connections are just starting to flourish in Los Angeles. Universities are reaching out to city hall in new ways. We are seeing stronger links between city leaders and the UC and Cal State campuses and private universities. Cal State L.A., where I direct the Pat Brown Institute, is about to open a downtown facility not far from city hall. The Mayor, a former professor of political science at Occidental, is comfortable with academics and has hosted events bringing college and university leaders together. And so we look ahead in Los Angeles, with aspirations to be more than we are, to be urban leaders while still wrestling with the consequences of the changes that have come before. We have a more crowded city, with more voices to be heard, and extremely difficult policy challenges to resolve. The question is whether the aspiration to be smarter and more innovative can keep pace with those tough policy choices ahead. Raphael J. Sonenshein is executive director of the Pat Brown Institute for Public Affairs at Cal State L.A. He is the author of a book on Tom Bradley and serves as co-chief academic advisor to the documentary movie about Bradley, Bridging the Divide: Tom Bradley and the Politics of Race. This essay is part of Is L.A. 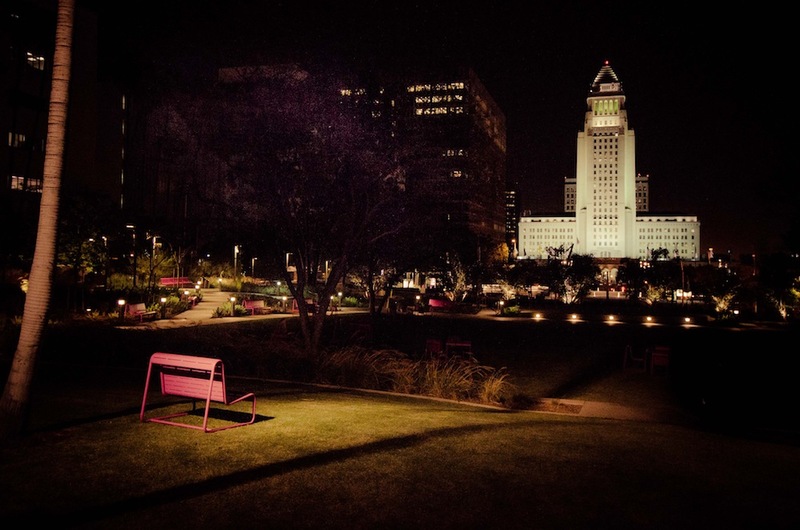 Still a City of Big Dreams?, a project of Zócalo Public Square.